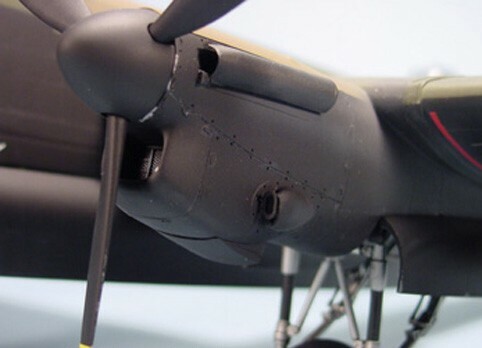 Belcher Bits of Canada offer some fine upgrade kits for the Tamiya Lancaster. First off has to be their brilliant set of replacement engine nacelles. These are such an improvement on the kit items that they are almost a necessity. They feature shrouded and unshrouded exhausts and the radiator air outlets can be positioned open or closed. These nacelles also exhibit the minor differences between the inner and outer engine installations. 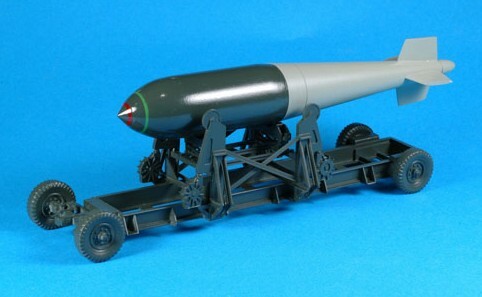 The Belcher Bits range also includes Lancaster Bulged Wheels (Smooth) and a variety of cookies and small bomb containers to enhance the rather inaccurate and uninspiring bomb load which is included in the Lancaster B Mk.I/III kit. A recent addition to the Belcher Bits range is the magnificent Grand Slam Bomb Trolley which is also available in 1/72 scale. 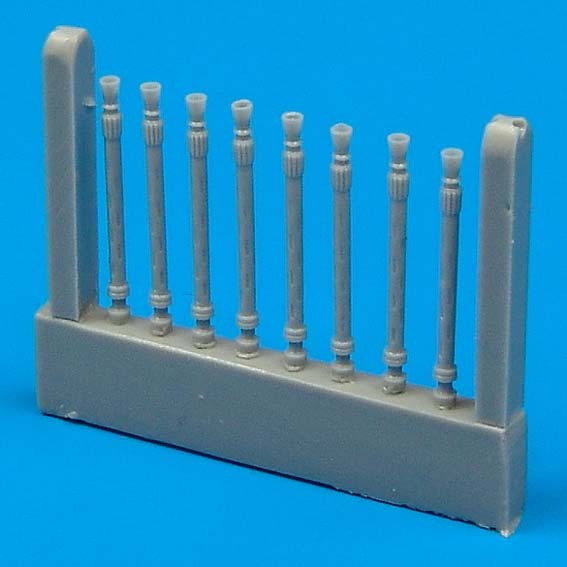 This can be used to accompany the Tamiya Lancaster Grand Slam Bomber or a Lancaster modified using the Paragon Designs Tallboy conversion as the same bomb trolley was also used for the slightly smaller Tallboy bomb. 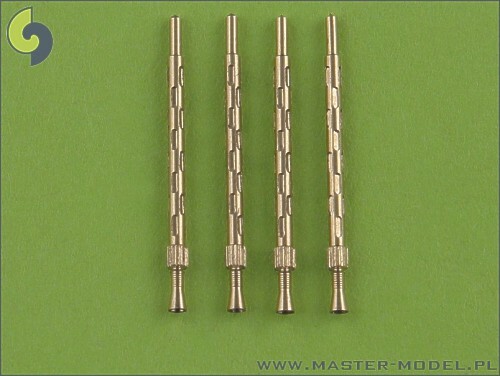 Quickboost have a fantastic range of resin upgrades but unfortunately for us, there is only one for the Tamiya 1/48 Lancaster. 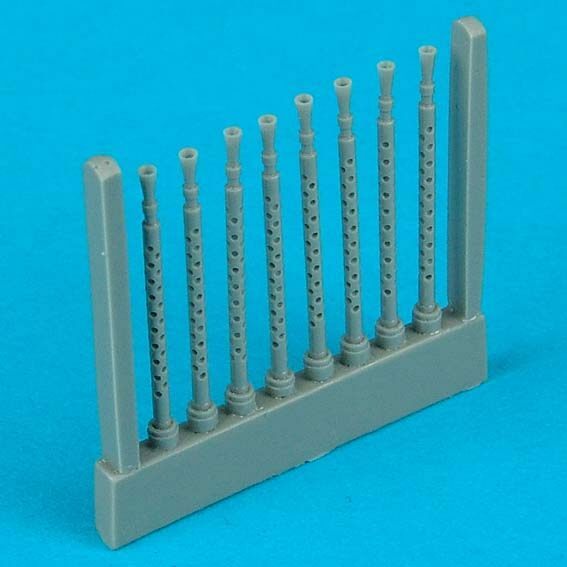 It is however, so cheap and of such good quality that it is another essential upgrade for the Tamiya Lancaster and is a set of resin Browning Machine Gun Barrels. The quality of these gun barrels is readily apparent even in this photograph which shows them greatly magnified. Quickboost have recently added a new set of gun barrels with oval perforations which are more applicable to wartime Lancasters. Unfortunately, despite being labelled as 1/48 scale, all the ones that I have seen have actually been 1/72 scale so these are best avoided.